Based on new information we've seen today, I've put together this image that depicts - as faithfully as possible - what the Nexus 6 will look like. 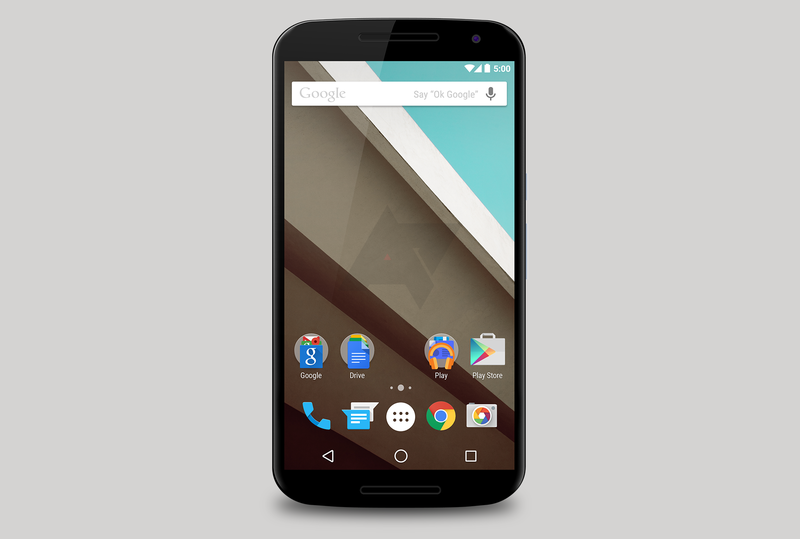 As many expected, it's essentially a larger variation of the Moto X, matching the images we saw last week. The Nexus 6 does, however, have black front-facing stereo speakers (look closely), and the power button and volume rocker (as originally reported by 9to5Google) are a bit farther down on the side of the device, to account for the enormous screen. Besides the form factor, we can see a bunch of new stuff just on the home screen. Revamped icons for the dialer, Play Store, Gmail, and Play apps all generally match what we've seen before, while there are new tweaked icons for Maps and Google, and a new folder on the home screen specifically for Drive's suite of editing apps. There's also a curious new icon next to the dialer, presumably for the "messaging" app, though the messaging icon does not show up on press images of the Nexus 5 (the Nexus 5 actually doesn't have the messaging app exposed), making this icon's appearance odd. It's possible the Messaging app will return, with Hangouts hanging... out as an option. Additionally, the status icons for battery, Wifi, and cell signal are all solid (without breaks like the current icons), suggesting they've been refreshed for the new release (which we can confirm will be 5.0, in case there was still any doubt). We don't have an image of the back of the device to share, but we can confirm that the edge of the device will have the same aluminum frame as the new Moto X, and the back will carry the same sort of camera module (a 13MP shooter with OIS) with the new dual-flash ring configuration. 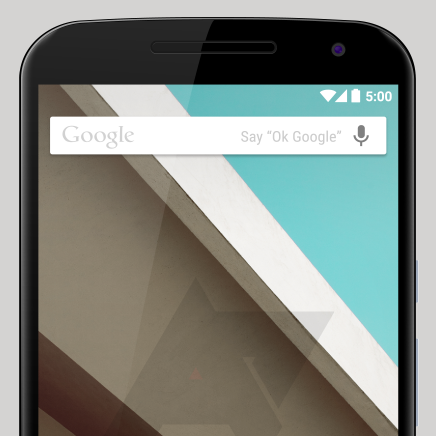 Inside, the Nexus 6 will have a 3200+ mAh battery, and a QHD display at an ample 496ppi. The front-facing camera, by the way, will be 2MP. We can also confirm that the Nexus 6 will be compatible with Motorola's turbo charger for super-fast charging. For reference, Motorola currently claims that 15 minutes on the charger will give the new Moto X "8 hours" of usage. So here's the big question (get it?) - will there be a smaller option for those with normal-sized hands and no desire for a gigantic phone? That's seeming very implausible. With this new confirmation, we are at a 9/10 confidence level that Shamu - the Nexus 6 - will be the new Nexus phone at 5.9". We've seen a ton of evidence from multiple sources (and other outlets) to suggest this, while we've heard absolutely nothing credible about a smaller Nexus phone this year. That leaves two options - either Google has somehow managed to keep a smaller Nexus phone a total secret while Shamu leaked all over the place, or there is no smaller Nexus phone. The hope for those who want to join the Nexus party this year without buying a phablet would be that Google would continue shipping the more reasonably-sized Nexus 5. The only entity that can answer these questions once and for all is Google, and with no official event yet announced, we can only wait.